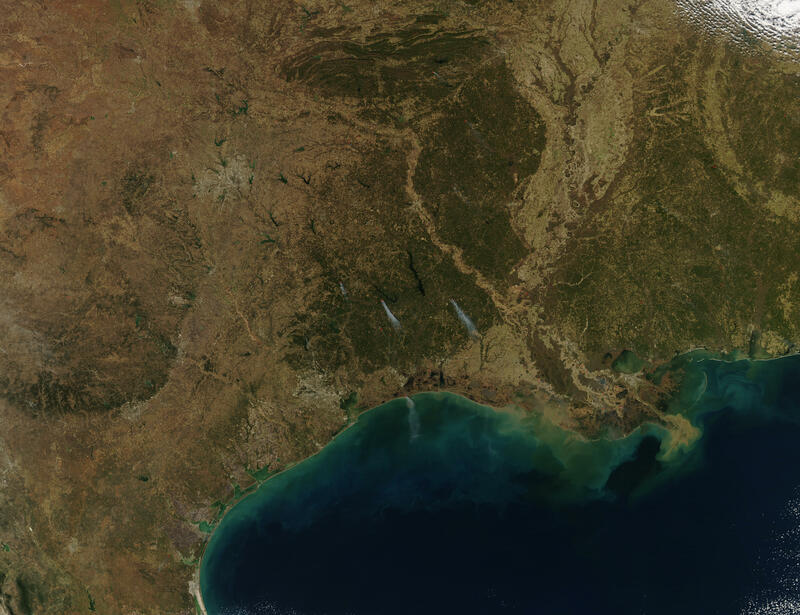 The south central United States looks like a great golden and green carpet in this true-color Aqua MODIS image from December 19, 2003. With the winter season firmly underway, green vegetation is limited to evergreens in the mountains and more temperate regions. Small fires (marked in red) are dotted throughout the scene; a couple show large smoke plumes streaking away in the winds. These fires are likely agricultural; wildfires tend to occur most often during the hot, dry summers.